This article was originally drafted in 2004 but most of the argument is still highly relevant today. What links the terrorist attacks in the USA on 11th September 2001, the failures of the UK Child Support Agency, and outbreak of “foot and mouth” disease in the UK? The answer is simple – the shadow economy. The terrorists of AQ were able to move about relatively freely, to organise financial and other support, because of the enormous flow of people and money through illicit networks. The UK’s Child Support Agency’s travails were clearly linked to faulty assumptions, when it was established, that all absent and defaulting parents could easily be dealt with through the tax and benefits system, which turned out to be more than a little over-optimistic. The outbreak of foot and mouth disease in the UK was probably caused by illegal imports of contaminated meat (The Observer, 6th May 2001) and certainly spread rapidly because of extensive “bed and breakfasting” practices in farming (a scam aimed at defrauding subsidy schemes by renting in extra animals during inspections – see The Times, 11th April 2001). This article argues that the shadow economy is a large and under-recognised public policy problem that is already causing substantial policy failures and is likely to get worse. Whilst the problem has been recognised to some degree in developing and transitional (ex-communist) countries, it presents evidence that the phenomenon is now a global one affecting seriously the developed countries as well. The ‘formal market’ is, in Adam Smith’s famous phrase, the ‘invisible hand’. The informal or non-legal economy then this is what might be called “the invisible hand’s shadow”. Illegal migration, fraudulent studentships, money laundering, credit card fraud, undocumented workers, illegal businesses, drugs and organised crime – collectively this “shadow economy” is reaching levels unheard of since the rise of the modern state. This is a substantial “rolling back of the state” that has occurred in the past 2 decades. The ‘hollowing out’ of the state has been attributed to economic and financial globalisation, privatisation, and the growth of supra-national and sub-national (networked) actors (Ohmae 1995; Strange 1996; Weller, Bakvis et al. 1997). This concept has its critics and is indeed contestable (Hay 1996; Gray 1998; Holton 1998), but interestingly nearly all the participants in this debate have ignored the growth of ‘un-stated’ activities. (An exception is Susan Strange’s contributions on the role of international organised crime – see (Strange 1996) chapter 8). What is most striking about the growth of the shadow economy is how complacent has been the reaction of democratic states and public policy-makers to it. Until very recently it has hardly figured at all in public policy discourse in developed countries. In the UK there has been one recent report that addressed the issue, but largely from a tax and benefit fraud perspective (Grabiner 2000). Interestingly, this report makes no attempt to quantify the problem and its policy prescriptions are mainly ‘more of the same’ in terms of prevention, detection and enforcement. In the USA (and other states) the repercussions of the September 11th attacks have raised the issue in relation to international terrorist networks (see later in this paper). Even those international organisations that have taken the ‘informal sector’ seriously because of their specific remit, such as the International Labour Organisation, have been reluctant to put it centre stage – especially in relation to urban, developed, economies despite the abundance evidence of its importance (Bangasser 2000). So what exactly is meant by the ‘shadow economy’? There are numerous definitions adopted for different purposes in the fragmented literature which does exist about various aspects of the phenomenon – in studies of tax evasion, illegal employment, illegal migration, unregistered companies, drugs cartels, etc (see for example: Tanzi 1982; Kauffman and Kaliberda 1996; Schneider 1997; Johnson, Kaufman et al. 1998; Fleming, Roman et al. 2000; Tanzi 2000). We will adopt a simple and broad definition: the shadow economy constitutes all those activities which should come within the purview of state law, regulation, taxation and information but which do not. Thus it is not simply tax evasion, or illegal or unregulated employment, or drugs cartels, or counterfeit production of goods, but all these things and many more. It should be stressed also that this is not just an ‘individual’ level phenomenon. Of course there are individuals who evade taxes, work or migrate illegally, or engage in drugs trafficking and counterfeiting, etc. But there are also organisations – capitalist quasi-corporations – who drive these activities. Many writers on aspects of the shadow economy have addressed just that – partial aspects. Some even adopt definitions which exclude unpalatable features – for example in one of the few books on the topic the authors define the ‘informal economy’ in such a way as to exclude criminal activities and subsequently ignore the latter in their analysis (Portes, Castells et al. 1989). There is a useful analytical distinction to be made between illicit activities producing otherwise legal goods or services and activities which are both illicit in themselves and produce illicit final products (Portes, Castells et al. 1989). However it is also analytically important to note that in reality there is an intertwining of these types of activities – thus unregistered companies may have to go to criminally run banking operations for funds, for example (de Soto 2000). A good example would be Jamaica where a combination of the opening up of illicit import routes for legal goods by the indigenous ‘higglers’ (informal traders) during the economic isolationism of the 1970s and the indigenous ‘ganga’ trade (Franc 1994) almost certainly acted as a ‘pathfinder’ for the later growth in cocaine trafficking using the same methods. Conversely, probably the most well-known and probably best understood aspect of the shadow economy is the drugs cartels, precisely because of the intelligence effort which has been put in to understand them. They are “vertically integrated transnational monopolies who operate from growing crops through processing, shipping, and wholesale to street level retail” as a memorable phrase from the TV series Miami Vice put it. More recently they have been diversifying into other areas of crime and even semi-legitimate business (as their Prohibition fore-runners did). But the pioneering work of Hernando de Soto and his colleagues, first in Peru and then in a series of other countries, has demonstrated how the shadow economy is far greater than merely “narco-capitalism” (de Soto 2000). By the simple expedient of going out and counting unregistered property and businesses within specific geographical spaces, and the estimating the values of these assets and transactions, remarkable figures have been produced. It may be possible to quibble with aspects of their methodology, but the results deserve very serious attention. They suggest that unregistered urban property and rural holdings alone amount to approximately US$ 74.2 billion in Peru, $241.4 billion in Egypt, $5.2 billion in Haiti and $132.9 billion in the Philippines. These empirical findings might be challenged on two counts: firstly, it is solely based in developing or newly industrialise countries; secondly, it is difficult to generalise from such (relatively) small surveys. However, powerful reinforcement for his analysis comes in the form of recent IMF studies on the shadow economy (Schneider and Enste 2000). Summarising studies based on methodologies such as electricity or currency demand these analysts show a remarkably consistent picture: the shadow economy is a global and growing phenomena. The relationship with labour markets are roughly proportional – that is if 10% of GDP goes unrecorded in the shadow economy a roughly similar percentage of workers are probably involved – i.e. 10% of the workforce as a crude ‘rule of thumb’. This is based on the figures in (Schneider and Enste 2000) but see also (Bangasser 2000). If this is the case then shadow employment globally would also be roughly the size of the employment in the USA – i.e. about 134 million people. This is then is what might be called “anarcho-capitalism” on a grand scale – it includes the narcotics trade but is immensely larger. The shadow economy is largest in developing countries – with average sizes of 44% in Africa, 39% in Central and South America and 35% in Asia. In transitional (former communist) countries the levels are estimated at between 26% and 35% in the former Soviet Union and 21% and 32% in Eastern Europe (Schneider and Enste 2000). In OECD states the problem is also growing. There would perhaps be little surprise that southern European states have above average shadow economies – 30% in Greece; 27% Italy; and 23% each in Spain and Portugal – or that countries like Japan (11%), Germany (15%), Switzerland (9%) or Austria (9%) have below average (17%) shadow economies. Perhaps more surprising are the rather large estimates for the Nordic countries (Denmark 18%, Norway 19%, Sweden 20%) (Schneider and Enste 2000). Confirmation for these broad findings was reported in an unpublished European Union study leaked to the Economist which suggested average shadow economy size in the EU had jumped from 5% of GDP in the 1970s to around 15% by the late 1990’s (Economist 1998). The estimated shadow economy for the USA is 9% – somewhat lower than the European average. Another study of ‘informalisation’ suggests that in developed countries this is primarily an urban phenomena and strongly correlated with growing inequalities in advanced democracies coupled with ‘cost avoidance’ in various sectors – not just taxation, but also property, wage and other costs (Sassen 1997). Some analysts suggest that a ratchet effect develops with people moving into the shadow economy during recessions and then staying there, with each new economic slow-down increasing the total. It is very hard to get them back, as one Canadian study found: “Unfortunately, once this habit is developed, it is unlikely to that it will be abandoned merely because economic growth resumes” (Spiro 1993) cited in (Schneider and Enste 2000). It is worth pausing here to consider the relative sizes of narco-capitalism and anarcho-capitalism. Estimates for the size of narco-capitalist activity vary enormously but a figure of somewhere around $100 billion a year seem reasonable – although there is probably a large margin of error in this figure (Keh 1996). This compares to the total global shadow economy estimate cited above of $9,000 billion. The size of narco-capitalism is therefore dwarfed by the size of the overall shadow economy – something which is not widely understood or factored into policy debates. How does it impact on public policy and administration? The state is being fundamentally weakened by the growth of the shadow economy and in some cases effectively destroyed (e.g. Afghanistan, Somalia, Sierra Leone). In some cases state policy actually encourages the growth of this sector – for example the impact of the ‘Poll Tax’ in the UK was widely reported as having increased significantly numbers of people avoiding taxation and ‘disappearing’ (Butler, Adonis et al. 1994). We clearly need a substantial analysis of the impact of the shadow economy as whole on the functioning of the state. One way of providing such an analysis is to take what is essentially a functionalist approach: how does the shadow economy disrupt the functioning of the state? This approach focuses on the functions of the state in information processing (Nodality), making rules (Authority), managing money (Treasure) and public agencies (Organisation). This ‘NATO’ framework was developed by Christopher Hood as a way of analysing the ‘tools of government’ as opposed to the political and other structures of government (Hood 1983). Hood’s approach is but one of several attempts to categorise the ‘tools of government’ and is not without its critics. Others have offered alternative ‘minimalist’ policy toolkits – some of which are rather similar. One of the most recent full-scale analyses adopts three of Hood’s categories – renamed as ‘carrots’ (Treasure), ‘sticks’ (Authority) and Sermons (Nodality) – but excludes Organization (Bemelmans-Videc, Rist et al. 1998). For our purposes in this analysis Hood’s categories are more useful, as will become apparent. Each of these ‘tools’ has both an effector and a detector function – that is they act as mechanisms for both altering ‘what is’ in society and for (often simultaneously) detecting ‘what is’ – i.e. many government actions are based on partial suppositions or ‘satisficing’ information and only in practice does the true state of affairs emerge. We will examine the shadow economy through the lens of each of these tools to see what the likely impact of it might be on state functioning. At various points we will re-introduce the three cases mentioned above (al-Qu’ida; Child Support; foot and mouth disease) as examples. 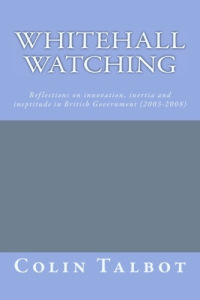 The state plays a pivotal role in modern societies in gathering, analysing and publishing information about what is occurring within those societies: economic activity, social and demographic data, crime, health, education, and a host of other types of information are regularly collected, analysed and (in most cases) disseminated. No other single entity in society has such a huge role in information processing. This information ‘nodality’ has both a detector and an effector component. Information about society is both useful about establishing ‘what is’ but can also act as a lever of change. The most obvious example is economic, financial and fiscal information – the type of data released back into society, and even its timing, can have sometimes dramatic effects on, for example, money markets, consumer or business confidence, exchange rates, etc. The shadow economy potentially plays havoc with this role – the most basic and commonly accepted ‘facts’ about society can suddenly become open to serious doubt. De Soto, for example, cites the case of the Peruvian construction industry – official figures showed the industry at almost zero growth, but visits to cement factories established that sales of small-lot cement were actually booming – the formal construction industry might have been in the doldrums but the shadow industry was booming at around 15% growth (de Soto 2000). In a similar vein, a confidential World Bank report on Jamaica states that whilst official economic output in that state had been virtually static for 25 years poverty seemed to have declined – the most likely explanation being the growth of the shadow sector, estimated at around 30% of the official GDP figures. With average shadow GDP running at about 17% across OECD countries a whole host of economic and social statistics are subject to serious doubt. Given that, for example, short-term macro-economic and monetary policies are based fluctuations in these statistics of often less 1% the margins for error are enormous. There is a more elusive, but none the less potent, aspect to this impact on the reliability of official information – the erosion of trust in government. Official ‘facts’ about society become less and less ‘real’ and people recognise this to be so – whatever the official statistics say their personal experience of being able to easily access obviously non-recognised resources (e.g. non-registered domestic or construction workers) tells them a different story. This has a corrosive effect on trust in government as a reliable source of information, which can have dire consequences in itself. Recent health scares in the UK, for example, have undoubtedly been reinforced by a strong popular perception that in cases like BSE (mad cow disease) and the ‘foot and mouth’ epidemic the authorities did not have accurate information (by several orders of magnitude) about what was actually happening within agriculture. Thus when the state has a very legitimate case to put forward – for example in support of the use of a triple vaccine for children – the public exhibits signs of extreme scepticism and public health policy is undermined. States make rules. Rules governing individual conduct and what constitute a ‘crime’; rules about property rights, market standards and contracts; rules about citizenship; rules about public safety; etc; etc. Above all states exercise a (more or less) complete monopoly of violence and incarceration within their territories. These powers again act as both effectors and detectors. By the simple act of making a rule about any action there is simultaneously a need to enforce such rules and thereby obtain information (however partial in some cases) about how many actions transgress the stated rule. The shadow economy is by definition a negation of state rules. It is a challenge to state authority. And by definition it massively undermines both the effector and detector roles of those rules. Part of the apparent reluctance of state and quasi-state bodies to fully recognise the growth of the shadow economy – especially in the advanced countries – is precisely that to admit the scale of the problem is to further compound the erosion of state authority. At its most extreme the shadow economy not only passively – through avoidance – challenges the state but does so much more actively as well. The example of the growth of the Russian ‘Mafia’ which has taken over a whole host of state functions in providing and protecting property rights, organising physical protection, and even carrying out quasi-judicial functions has been quite remarkable (for an enlightening analysis see Varese 2001). There has also been an interesting pathology of policy responses to shadow activities identified in the work of de Soto and his colleagues. In ‘soft’ states where rules are badly enforced and routinely broken the usual policy response has been to try and plug the gaps by increasing detailed, rigid and bureaucratised rule making. This in turn creates additional barriers to participation in the legitimate sector – for example registering a new small business can involve multiple processes and agencies, prolonged delays and require payment of bribes to either speed up or even achieve a result at all (de Soto 2000). The result if often that legitimate activities are driven into the informal sector by precisely those rules established to regularise them (Kaufman 1994; Johnson and Kauffman 2001). There are distinct signs of similar pathologies emerging in developed countries as the shadow sector takes hold – thus for example a recent UK report on the informal economy places most of its emphasis on detection and punishment through new powers and policies (e.g. ‘Welfare to Work’), better rules, more resources for enforcement agencies and better coordination of their efforts, etc (Grabiner 2000). The problems of such an approach had been evidenced before Grabiner’s report even appeared – see (Jordan and Travers 1998). One implication of the growth of the shadow sector is that such widespread rule breaking will cause an inevitable growth of corruption in the formal sector and especially of state organisations – this is dealt with under ‘organisation’ below. The implications for the operation of terrorist organisations are fairly obvious: a widespread culture of rule evasion, rule-breaking and corruption provides a fertile soil for any illicit organisation – whether they are terrorists or just “ordinary decent criminals” (a phrase current in Northern Ireland’s law enforcement community). Some rule breaking is relatively passive (e.g. tax avoidance) whilst some is very active – forging identity documents, underground banking, etc. The latter has been widely identified, for example, as a key component in the ability of al-Qu’ida to move funds around to resource its ‘actions’ – through for example the Al Taqwa financial network (Hosenball, Peraino et al. 2002). Another underground banking system – organised by mainly Chinese and Asian communities world-wide – is estimated to circulate as much as US$100 to US$300 billion dollars a year – (see Malhorta, cited in Grabosky and Smith 1998 page 178). Otherwise legitimate businesses can also be used for money laundering and smuggling – a recent somewhat bizarre story surfaced suggesting that Osama Bin Laden’s network had been using the extensive honey trade in the Middle East as a cover for just such activities (see BBC News website: 11 October 2001). The state reserves to itself the power to forcibly extract money from its individual and corporate citizen’s, to spend or give that money away, to regulate what constitutes legal tender, and to regulate many aspects of financial and fiscal life either by rules (above) or by fiscal actions (e.g. setting interest rates). The impact of shadow economy activities undermines the states role in ‘treasure’ in several ways. Firstly, it undermines the acquisition of resources on an equitable basis across the individual and organisational citizenry. Secondly, those operating in the shadow economy often, if not usually, have full access to many public goods and services provided by taxation of the formal sector. Trucks carrying drugs or counterfeit goods use the same public highways as legitimate carriers; children of illegal workers go to the same public schools as legal ones; and so on. The demand for public services therefore does not diminish because large numbers opt out of the formal sector. This creates a ‘scissors’ effect on taxation – every organisation or individual who absents themselves from legitimate taxation not only deprives the state of income but also increases the burden of taxation on others. The effects in terms of diminishing trust and social cohesion are obvious. In specific cases the effects of the shadow economy are obvious. The UK’s Child Support Agency – charged with extracting funds from absent parents to support their children – was set up on the assumption it could operate through the tax and benefits system. The latter would both provide the CSA with accurate information about an individual’s financial position with which to make calculations about their liabilities for child support (detector mechanism) and provide the vehicle for obtaining payment by deductions from either pay or benefits (effector mechanism). In practice in turned-out that many parents (and especially the ones most likely to be trying to avoid payment) were difficult to ‘capture’ because they managed to evade, in one way or another, being fully recognised by the tax and benefits systems. In some cases they simply didn’t exist at all as far as these systems were concerned, in others parts of their finances or employment (or self-employment) went un-registered and untraceable. The CSA was forced to fall back into concentrating its limited resources on those parents who were wholly legitimate (and easy to ‘capture’) – precisely the ones who had usually previously taken some responsibility for their children. It was this which in turn generated much of the vocal protests against the CSA. States organise things – they employ people to do things which otherwise would probably not get done in the market place or they take over things which would be done in the market but, for a variety of reasons, are deemed better to be undertaken by the state. The effect of the shadow economy on these organisations is probably less direct than in other areas – the most obvious affect being corruption of state officials, which has already been mentioned above. As resources become more readily available to shadow economy organisations and individuals, and as corrupt payments become easier to hide, the growth of ‘graft’ would seem to follow. Such a link is easy to establish empirically. Transparency International produces an annual survey of perceptions of corruption in a wide range of countries. This provides each country with score on a scale of 1 to 10. It is a simple matter to take these figures (for 2000) and correlate them with the figures on the shadow economy (Schneider and Enste 2000). For the 65 countries for which comparable data was available such a calculation produces a strong positive correlation of 0.73. Correlations do not prove causality and in this case the causality is probably in both directions anyway – increased corruption permits increased shadow activity, and vice versa. This may be a crude device, but it does at least suggest a strong prima facie case for a link between the two. Recent studies have highlighted how even the legitimate and semi-legitimate corporate sector can engage in illegitimate state capture to ‘purchase’ legislation and court decisions in some states (Hellman, Jones et al. 2000). Paradoxically some state policies of recent years may have unwittingly encouraged the growth of the shadow sector. For example, outsourcing of many functions, such as support services, has often been precisely in those sectors where informalised employment is most widespread. Similarly campaigns for de-regulation – aimed at aiding perfectly legitimate businesses – may have simultaneously aided and encouraged less scrupulous operators to take advantage of less rigid and less stringently enforced rules. Public organisations, as already mentioned under ‘treasure’ above, also find they face demands for services from shadow economy actors who avoid paying the taxes which sustain public activities. Studies in the former communist countries (Johnson and Kauffman 2001) and Latin America (Loayza 1996) reinforce this view. This creates fiscal pressures in the public sector and specifically budgetary pressures on public organisations – especially where actual demand for services and estimates of demand are based on, for example, erroneous demographic or economic data. It is beyond the scope of this short article to offer comprehensive policy solutions to this large and seemingly intractable problem. All that is possible is a broad sketch of some possible approaches to generating solutions. The shadow economy has to be addressed both as a policy issue in its own right. Let us consider some preliminary conclusions loosely under our four headings ‘NATO’ headings. The first conclusion to draw from this analysis is that a substantial, multi-disciplinary, effort needs to be made to establish the size, scope, shape and dynamics of the shadow economy in each country. The shadow economy has been approached in this article as a global and growing occurrence of huge public policy significance – which indeed it is. But it is also a highly differentiated and diverse phenomenon (Portes, Castells et al. 1989). General prescriptions therefore have to be treated with some caution – what works in reducing ‘informality’ in one place or sector may not work elsewhere in the same way. A cynic might note that academics always conclude ‘we need more research’ – but in this case we very obviously do. Some research needs to be of a relatively crude ‘get out there and count it’ variety to get a better handle on the size and scope of the shadow economy. But alongside this we need more in-depth, qualitative and sophisticated research to understand the true causation in each country or within different ‘varieties of capitalism’. Much recent work has begun to emerge on the latter, taking everything from cultural perspectives (Hampden-Turner 1994; Harrison and Huntingdon 2000) to applying neo-institutional analysis to the comparative problem within capitalism (Hall and Soskice 2001). This will need to be applied to the outputs of cruder descriptive research to understand the dynamics of the shadow economy in particular social, cultural, institutional and historical contexts and devise solutions which are appropriate. In the sphere of regulation and authority, de Soto recommends a novel approach: analysing the patterns of informal activity in order to create legitimating processes which ‘go with the grain’ by incorporating aspects of the informal ‘regulation’ or modes of operating of the informal sector – which clearly exist – into formal structures and processes of the state (2000). This is not – as some critics have claimed (Portes, Castells et al. 1989) – celebrating informality, but rather it is way of trying to overcome informality by an ‘indirect’, bottom-up, strategy. He argues that this is what actually happened in the history of the consolidation of US capitalism. To a certain extent the need for better institutions and regulation has now emerged as a key theme for development agencies – especially the World Bank (World Bank 1997; Burki and Perry 1998). In this sense what de Soto advocates is closer to the theme of ‘re-regulation’ or ‘better regulation’ – that has emerged in the literature on the subject in developed states (e.g. see Majone 1990 especially the final chapter by Kay and Vickers). It also suggests that some of the more extreme anti-government and de-regulationist political rhetoric of recent years has probably helped in legitimising the growth of avoidance and shadow activities. This approach may well work in circumstances where property rights and law are effectively fluid in their make-up and application, as in many developing and transitional countries. It is however not easy to see how such a strategy could be easily translated into a developed country context where property right systems are well-established and the shadow economy generally appears to have a somewhat different character (although we do not know enough about this). However, given the apparent failure in developed countries of top-down enforcement based strategies to contain the problem maybe there is something to be learnt from a different approach? One obvious translation into a developed country context would be to go for greater use of amnesties to encourage those outside of the system to come back in. There have been some experiments in this direction but there is little evaluation available about ‘what works’. Many of the conclusions appropriate to ‘authority’ apply equally to ‘treasure’ – whilst revising and seeking better implementation of anti-tax evasion and benefit fraud activities is vital it is proving ineffective in developed countries. Serious consideration therefore needs to be given to ‘softer’ approaches based on cultural change to undermine the traditions of avoidance which are becoming embedded in developed societies. This to some extent fits with the approach developed by ‘communitarian’ thinkers about the need to re-establish a ‘spirit of community’ (Etzioni 1988; 1993; 1996). Finally we turn to the issue of public organisations. The analysis in this article suggests that public organisations have significantly failed to place sufficient emphasis on the issue of the shadow economy. It has been approached in a fragmented and largely reactive way, with little attempt at learning the real size, scope and shape of the problem. Whilst this has partly been driven by political reticence in recognising the problem public servants have also failed to adequately address the growing issue. Bangasser, P. E. (2000). The ILO and the Informal Sector: an institutional history (Employment Paper 2000/9). Geneva, International Labour Organisation. Bemelmans-Videc, M.-L., R. C. Rist, et al., Eds. (1998). Carrots, Sticks and Sermons – Policy Instruments and Their Evaluation. New Brunswick, Transaction Publishers. Burki, S. J. and G. Perry (1998). Beyond the Washington Consensus: Institutions Matter. Washington, World Bank. Butler, D., A. Adonis, et al. (1994). Failure in British Government – The politics of the poll tax, Oxford University Press. de Soto, H. (2000). The Mystery of Capital. Economist (1998). Blinded by the Dark. Economist. London: 15. Economist (1999). Black Hole – The Shadow Economy. The Economist. Etzioni, A. (1988). The Moral Dimension – Toward a New Economics. London, Collier Macmillan Publishers. Etzioni, A. (1993). The Spirit of Community – The Reinvention of American Society. London, Touchstone Books. Etzioni, A. (1996). The New Golden Rule. London, Profile Books. Fleming, M. H., J. Roman, et al. (2000). “The Shadow Economy.” Journal of International Affairs 53(2): 387-410. Franc, E. L., Ed. (1994). Consequences of Structural Adjustment. Kingston, University of the West Indies. Grabiner, L. (2000). The Informal Economy. London, HM Treasury. Grabosky, P. N. and R. G. Smith (1998). Crime in the Digital Age, Transaction Publishers/The Federation Press. Gray, J. (1998). False Dawn. London, Granta Books. Hall, P. and D. Soskice, Eds. (2001). Varieties of Capitalism – The Institutional Foundations of Comparative Advantage. Oxford, Oxford University Press. Hampden-Turner, C. T., F (1994). The Seven Cultures of Capitalism, Piatkus. Harrison, L. and S. P. Huntingdon, Eds. (2000). Culture Matters. New York, Basic Books. Hay, C. (1996). Re-Stating Social and Political Change. Buckingham, Open University Press. Hellman, J., G. Jones, et al. (2000). Measuring Governance, Corruption and State Capture (Policy Research Working Paper 2312). Washington, World Bank. Holton, R. J. (1998). Globalization and the Nation State. Basingstoke, Macmillan. Hood, C. (1983). The Tools of Government, Macmillan. Hosenball, M., K. Peraino, et al. (2002). Terror’s Cash Flow. Newsweek. 139: 28. Johnson, S. and D. Kauffman (2001). Institutions and the Underground Economy. A Decade of Trasnition: Achievements and Challenges. O. Havrylyshyn and S. Nsouli. Washington, International Monetary Fund. Johnson, S., D. Kaufman, et al. (1998). Corruption, Public finances and the Unofficial Economy. ECLAC, Santiago. Jordan, B. and A. Travers (1998). “The Informal Economy: A Case Study in Unrestrained Competition.” Social Policy & Administration 32(3). Kauffman, D. and A. Kaliberda (1996). Integrating the Unnofficial Economy into the Dynamics of Post-Socialist Economies: A Fraemwork for Analysis. Economic Transition in Russia and the New States of Eurasia. B. Kaminksi. Armonk, NY, M.E. Sharpe inc.
Kaufman, D. (1994). “Diminishing Returns to Administrative Controls and the Emergence of the Unofficial Economy.” Economic Policy Supplement 19. Keh, D. I. (1996). Drug Money in a Changing World: Economic Reform and Criminal Finance. New York, United Nations Office of Drug Control and Crime Prevention. Loayza, N. (1996). The Economics of the Informal Sector: A Simple Model and Some Empirical Evidence from Latin America. Carnegie-Rochester Conference Series on Public Policy Vol. 45. Majone, G., Ed. (1990). Deregulation or Re-regulation. London, Pinter Publishers. Ohmae, K. (1995). The End of the Nation State. New York, Free Press. Portes, A., M. Castells, et al., Eds. (1989). The Informal Economy – Studies in Advanced and Less Developed Countries. London, The Johns Hopkins University Press. Sassen, S. (1997). Informalization in advanced market economies (Issues in Development: Discussion Paper 20). Geneva, International Labour Office. Schneider, F. (1997). “The Shadow Economies of Western Europe.” Economic Affairs(September 1997). Schneider, F. and D. Enste (2000). Shadow Economies Around the World: Size, Causes and Consequences (IMF Working Paper). Washington DC, International Monetary Fund. Spiro, P. S. (1993). “Evidence of a Post-GST Increase in the Underground Economy.” Canadian Tax Journal 41(2): 247-258. Strange, S. (1996). The Retreat of the State. Cambridge, CUP. Tanzi, V. (1982). The Underground Economy in the United States and Abroad. Lexington, Lexington Books. Tanzi, V. (2000). Policies, Institutions and the Dark Side of Economics, Edward Elgar. Varese, F. (2001). The Russian Mafia – Private Portection in a New Market Economy. Oxford, Oxford University Press. Weller, P., H. Bakvis, et al., Eds. (1997). The Hollow Crown – Countervailling Trends in Core Executives, Macmillan. World Bank (1997). World Development Report 1997. Washington, World Bank. ← The ‘Managerial Revolution’ is Over: They Won?